Catherine Greig is already serving an eight-year prison term for helping James “Whitey” Bulger evade capture for more than 16 years. The longtime girlfriend of James “Whitey” Bulger faces more time in prison — possibly as much as a year — for refusing to cooperate with a federal grand jury in Boston that is trying to track the convicted gangster’s hidden assets, according to two people familiar with the investigation. Catherine Greig, 63, who is already serving an eight-year prison term for helping Bulger evade capture for more than 16 years, has been secretly charged with civil contempt for refusing to testify before the grand jury, according to the two sources. They said she declined to answer any questions, despite an immunity order that meant she could not be prosecuted for anything she said as long as she told the truth. Grand jury proceedings are secret and the new charge against Greig remains sealed. The clock on Greig’s existing prison term stops ticking while she is held in contempt, potentially for as long as the grand jury is in session. The panel, which convened last fall, sits for up to 18 months. Her sentence for contempt ends when the grand jury disbands, at which time she will resume serving her initial sentence. A spokeswoman for the US Attorney’s office declined to comment on the investigation and Greig’s attorney, Kevin Reddington, could not be reached for comment. A collection of Globe coverage of the notorious Boston gangster, who faced a sweeping indictment that included 19 murder charges. Patricia Donahue, whose husband, Michael, was gunned down by Bulger in 1982 while giving the gangster’s intended target a ride home, said she is happy that the government is pressuring Greig by increasing her sentence and could not understand why she remains loyal to Bulger. Greig, a former dental hygienist who, like Bulger, grew up in South Boston, began dating the gangster in the mid-1970s and joined him on the run in early 1995. 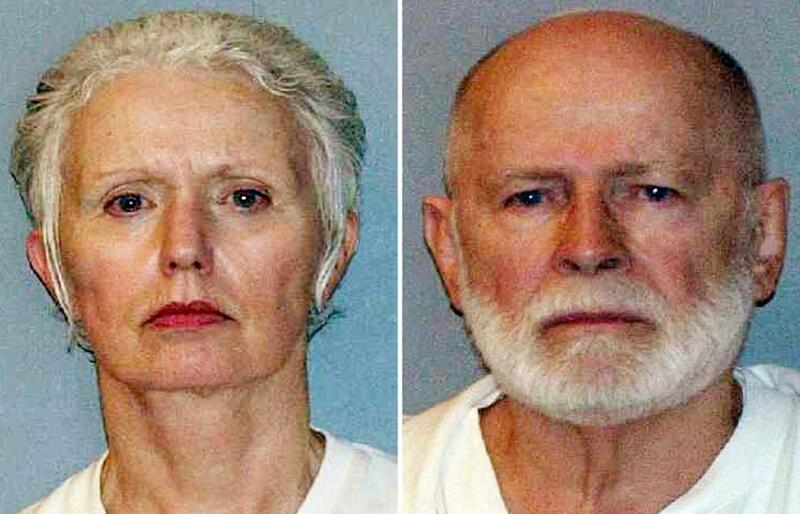 Bulger, who was one of the FBI’s 10 Most Wanted, and Greig lived quietly in a rent-controlled apartment in Santa Monica, Calif., just two blocks from the beach, until they were captured in June 2011. FBI agents found $822,000 in cash and 30 guns hidden in the walls of the apartment. Bulger was convicted in 2013 of participating in 11 murders while running a sprawling criminal enterprise from the 1970s to the 1990s. He was sentenced to two life sentences and ordered by a judge to pay $19.5 million in restitution to his victims and to forfeit another $25.2 million to the government. The forfeiture judgment allows prosecutors to seize all of Bulger’s assets, including the cash seized from his California apartment, and future profits the gangster might make from selling his life story. After Bulger was sentenced, prosecutors pledged to aggressively pursue his assets and said they would distribute them among the families of the gangster’s many victims. Investigators believe Bulger amassed millions from drug trafficking and extortion and may have cash stashed in various places around the world. While Bulger was on the run, the government netted $2 million from Bulger’s share of a 1991 lottery ticket, $99,335 from a BayBank safe deposit box, and $106,709 from the sale of a condominium it seized from Bulger in Clearwater, Fla., according to court filings. The FBI also seized $50,000 from a safe deposit box belonging to Bulger in London and the contents of other safe deposit boxes rented by Bulger in Florida, Ireland, and Canada. The only public indication that Greig’s status has changed is a US Bureau of Prisons website, which noted last week that she had arrived back at the federal penitentiary in Waseca, Minn. She had spent the past five months at the state-run Donald W. Wyatt Detention Facility in Central Falls, R.I. The Globe previously reported she was moved there from Minnesota in September because she was being brought before the grand jury in Boston. The Bureau of Prisons website still lists Greig’s release date as June 10, 2018, but that is expected to change because of the new contempt charge. Robert Sheketoff, a prominent Boston criminal defense attorney who is not involved in Greig’s case, said civil contempt charges are meant to be coercive, rather than punitive. “You hold the keys to your own cell,” said Sheketoff, noting that once a defendant agrees to testify, the civil contempt charge is purged. However, he said if a defendant refuses to testify after serving a sentence for civil contempt, then the government can bring an additional charge of criminal contempt, which is a new indictment that can bring stiff sentences. It is not unusual, Sheketoff said, for prosecutors to use contempt charges to pressure defendants to cooperate, even if, as in Greig’s case, they refused to cut plea deals that involved leniency in exchange for cooperation. “If they really want your testimony or they just want to be vindictive, they can charge you with criminal contempt,” Sheketoff said. Bulger’s lawyer, Hank Brennan, said he was unaware of the new charge against Greig but questioned why prosecutors failed to pursue allegations of deep-rooted government corruption and murder that arose during civil and criminal trials of Bulger and his associates. “Rather than trying to add jail time to an already extraordinary eight-year sentence, the government should spend the taxpayer’s money prosecuting the many murderers and government employees that were given a free pass because the prosecution team was previously too busy to draft the indictments,” Brennan said. 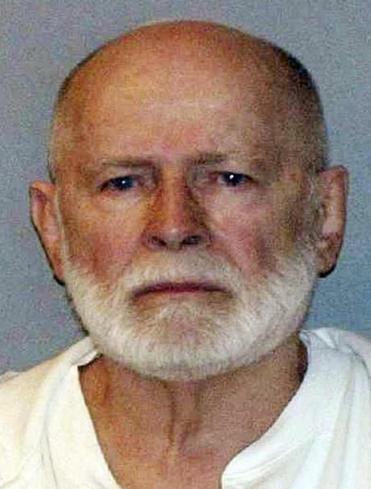 Bulger, who is incarcerated at the Coleman II federal penitentiary in Sumterville, Fla., has blamed the government for Greig’s predicament in letters sent from jail and claimed he was willing to plead guilty to all charges and spare the cost of a trial if Greig was allowed to go free. But Donahue, the widow of one of Bulger’s victims, said Greig could help herself and her boyfriend’s victims by cooperating with the ongoing investigation and telling what she knows. “You can be in love with somebody, but eventually you come to the reality of what is going on,” Donahue said.